This ASGM district is the oldest and largest of its kind in Ecuador. Mercury/cyanide pollution, earth's subsidence, transboundary water issue. Conflict related to regulation and civic resistance. The artisanal and small-scale gold mining (ASGM) district of Portovelo-Zaruma is the oldest and largest of its kind in Ecuador. Gold mining has occurred in this region since the Incan conquest in the 15th century, scaled up by the Spanish crown in the 16th century and consolidated by the presence of South American Development Company (SADCO) from the beginning of the 20th century. Currently it is home to a diverse mining activity consisting of numerous, local artisanal and small-scale miners as well as a few foreign companies, especially ELIPE S.A, which is a sub-company of the Canadian Dynasty Metals Inc. The conflict is, first of all, due to a serious and long-standing environmental degradation of the area, especially about cyanide and mercury contamination of the Puyango River Basin, which eventually enters Peru further downstream. Moreover the conflict is about the deployment of power relations on the divergent claims to the gold deposits, that is about a local opposition towards the dominance of foreign mining companies in terms of mining concessions and production volume. Additionally, the nature and praxis of ASGM here as elsewhere produces outspread environmental consequences and enormous regulatory challenges for the Ecuadorian State. 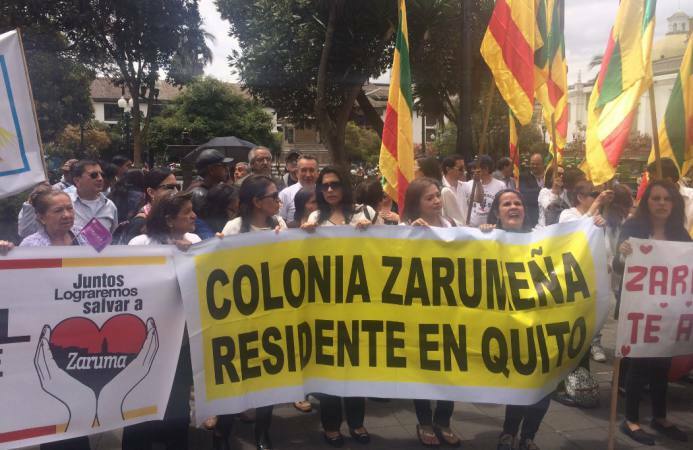 Local miners perceives the State to give unfair privileges to the largest, foreign companies, especially ELIPE S.A, which produce a resistance towards both control/regulation and foreign actors in the name of autonomy. Project Details The ASGM district is composed of 10 000 miners, the majority local, the dominant minority outsiders. The type of mining is subterranean tunnels from which the minerals are extracted. Yet, a special trait about this mining district is the fact that it holds 85 processing plants along the rivers of Calera and Puyango. These plants process ore, not only from its surrounding mountains, but also from other ASGM districts, especially Ponce Enriquez (Azuay province) and Namibia (Zamora Chinchipe). Due to poor handling of cyanide and a long-standing tradition of using mercury in the processes, the rivers are heavily contaminated making its water totally unsuitable for human consumption and agriculture downstream (including Peru). Resistance towards mining itself is very much absent because mining is the dominant source of livelihood. The local protest are largely directed towards the dominance of the largest companies and state regulation, which are both seen as obstacles to the profitability of local mining. 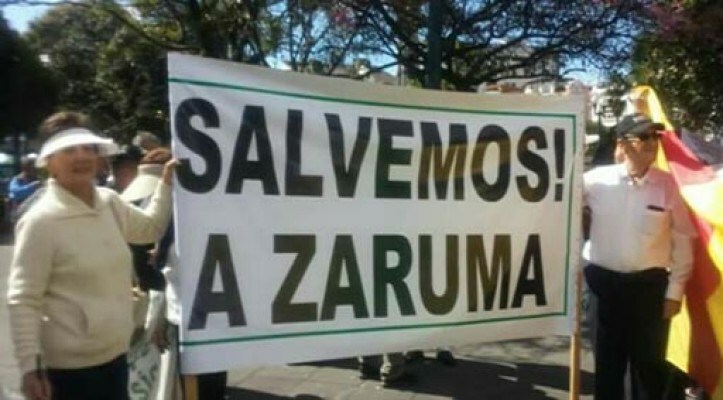 The case is complex however, and most recently there has been widespread concerns expressed by inhabitants in Zaruma after an elementary school was swallowed by a hole in the ground due to illegal mining underneath the city of Zaruma. Why? Explain briefly. Paradoxically, no major environmental NGOs has given this case attention, perhaps due to its complex nature. Despite two decades of attempts to solve the problem of environmental degradation, the problem seem to increase rather than decrease. My argument, as I put forward in my thesis, is that the governmental intervention has failed to address power asymmetries which is a major cause here. And in relation to that, that the intervention is dominated by the discourse of natural science focusing on a technological fix, while leaving out the socio-political dimension of the conflict. Meanings of Mining: A political ecologist approach on the regulation of artisanal and small-scale gold mining in Southern Ecuador. Master thesis (2016). Noragric, Norwegian University of Life Science. News article about the recent collapse of an elementary school in Zaruma. 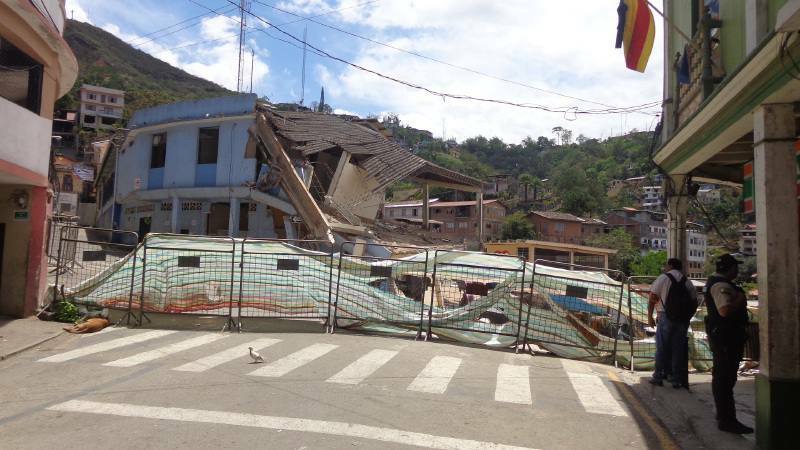 Presidente Lenín Moreno suspende operaciones mineras en Zaruma. El Universo. 14 Sept. 2017. Las actividades mineras que se efectuaron durante decenas de años al interior de la ciudad de Zaruma han puesto en peligro la ciudad, que es Patrimonio Cultural de la Humanidad. Other Comments There is a growing literature on this case, especially natural science deriving from University of British Colombia. A search on Google Scholar, or a review of the reference list in my thesis, reveals them at large. In September 2017, President Lenin Moreno of Ecuador enlarged the zone of exclusion for mining in Zaruma and Portovelo.